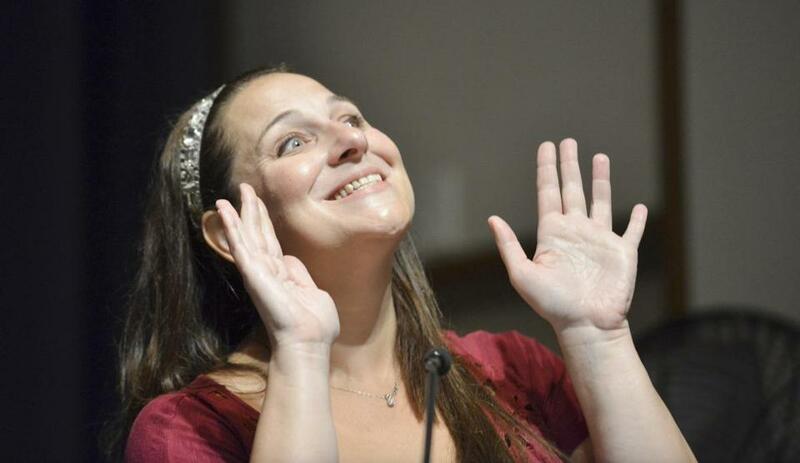 Best-selling novelist and Cape Cod personality Jennifer Weiner (above) — of “Good in Bed” and “In Her Shoes” fame — gave a lively talk at the Boston Public Library to about 200 of her fans on Tuesday. She discussed her commitment to live-tweeting “The Bachelor” and “The Bachelorette,” her experiences writing for the now-canceled ABC Family comedy “State of Georgia,” and her new novel, “The Next Best Thing,” which, borrowing a bit from reality, is about a woman from Massachusetts who winds up on the West Coast writing a television show. Weiner stayed for about an hour after the reading to sign books. She even brought cupcakes from Flour. . . . Speaking of Flour, chef Joanne Chang (far right) was at the Joslin Diabetes Center on Tuesday to help the center’s chief executive John Brooks serve healthy treats to employees at Joslin’s annual barbecue.